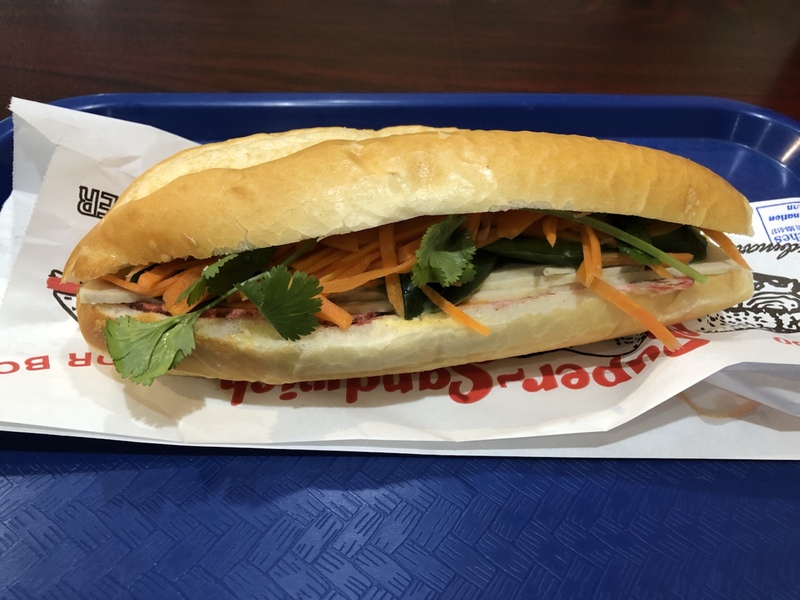 Kimlan Sandwiches & Bakery Revisited: Bánh Mi’s at its finest – Wichita By E.B. To celebrate the new lunar year, I wanted to get something that would remind me of my days growing up. 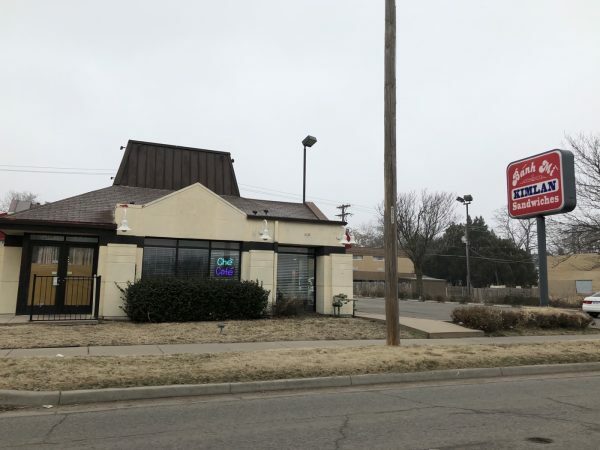 I ended up at one of my favorite Vietnamese restaurants in Wichita, Kimlan Sandwiches. 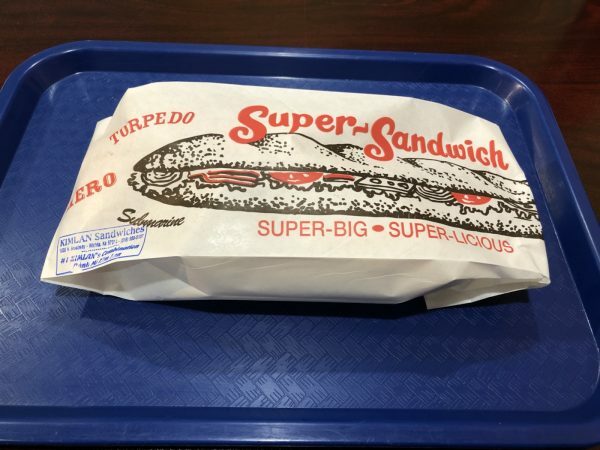 They are by far one of the most affordable and delicious places to eat in town. Everything on the menu is under $7. It’s an even better deal when you’re buying in bulk. 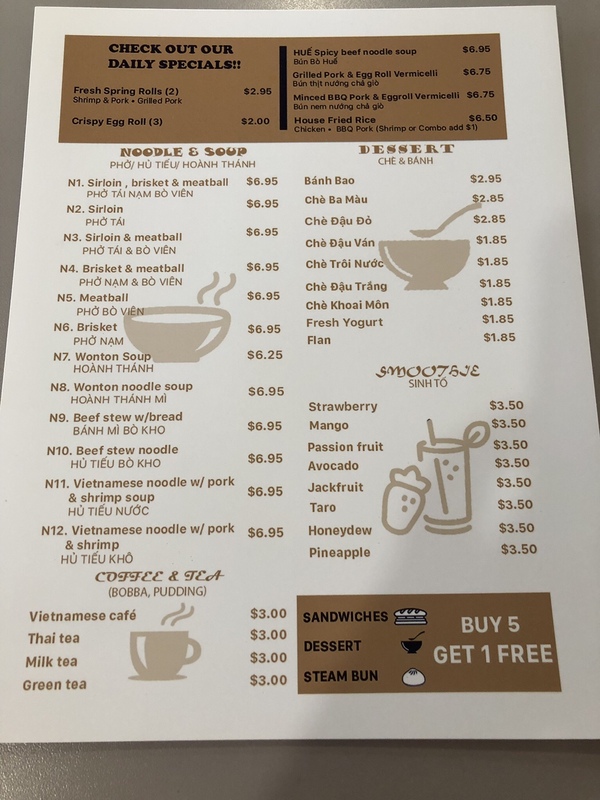 If you buy five sandwiches, steamed buns, or desserts, you get a sixth one free. What sets Kimlan apart besides the incredible value is the freshly baked French bread that is bar none my favorite. Its the perfect combination of being crispy on the outside and soft on the inside. I grew up eating Banh Mi’s and each bite gives me sweet memories of my childhood. My girlfriend was recently introduced to Kimlan and loved it immediately. 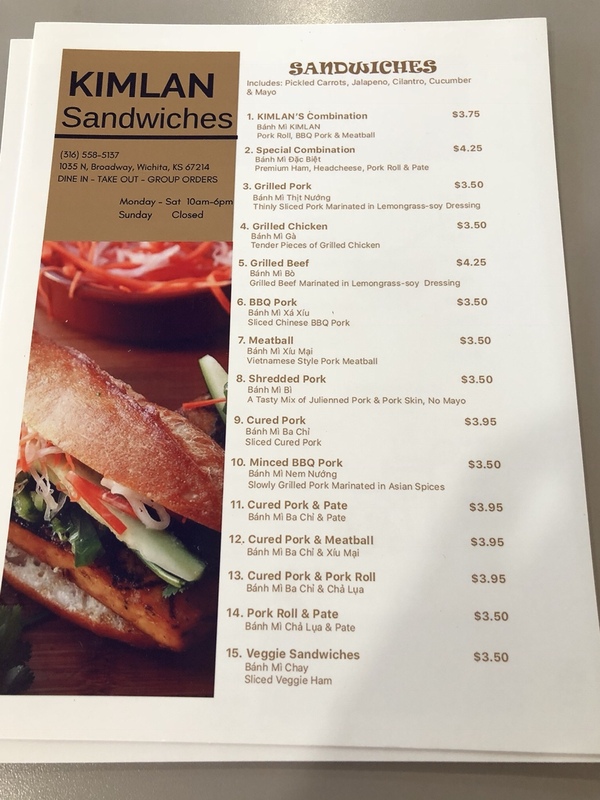 They have 15 different sandwich options to choose from. All but two of them are under $4 (FYI, the other two are $4.25). My favorite two are the #1 Combination which includes pork roll, BBQ pork and meatball and the #2 Special Combination which is premium ham, headcheese, pork, roll and pate. There is also a veggie option. All of the sandwiches come with pickled carrots, jalapeno, cilantro, cucumber and mayo which pack so much more flavor and even heat to it. 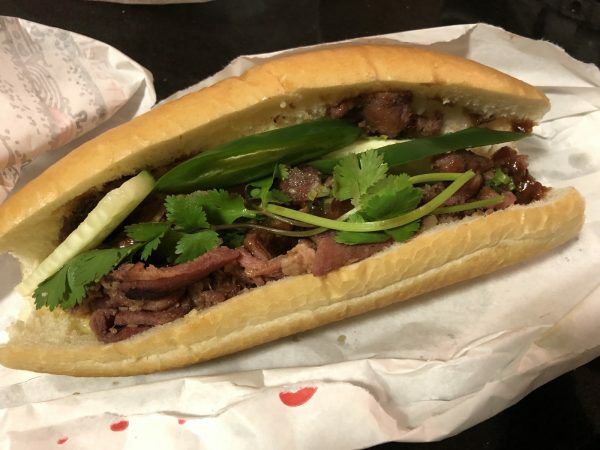 For what it’s worth, my girlfriend’s a huge fan of the grilled pork banh mi. My mother who’s a hard woman to impress has always enjoyed Kimlan every time I serve as her personal UberEats driver. 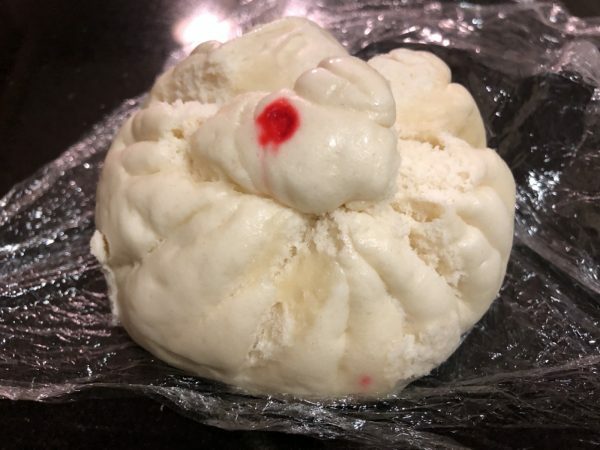 If you want to try something a little different, I’d also highly recommend the bánh bao also known as steamed pork bun. 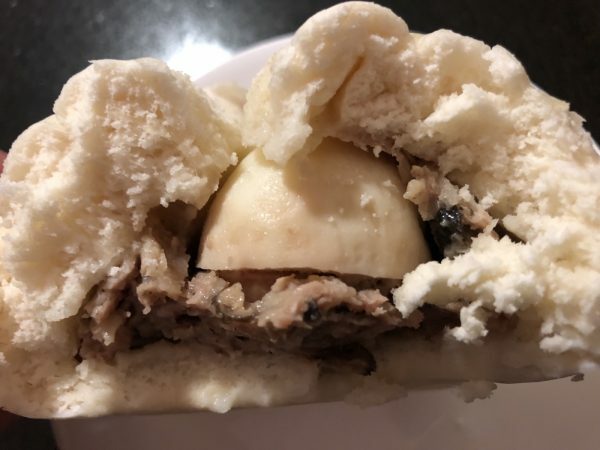 Its a ball shaped bun that’s stuffed with ground pork, egg, Chinese sausage, and mushroom. On every visit, there are always a couple ladies working the restaurant that are incredibly pleasant and friendly. Just a great meal to celebrate the Year of the Pig. Happy New Year. Don’t forget a Vietnamese iced coffee. Strong and sweet, so good!